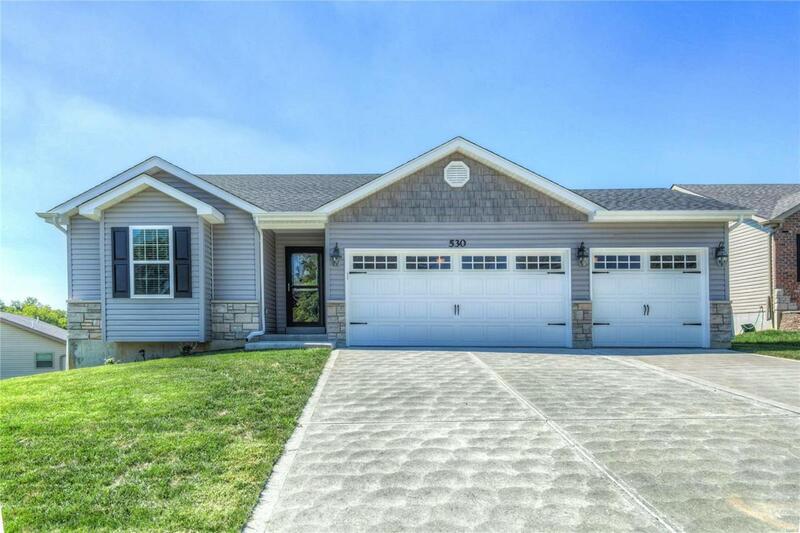 LIKE-NEW 2016 VAULTED RANCH w/ 3-CAR GARAGE! 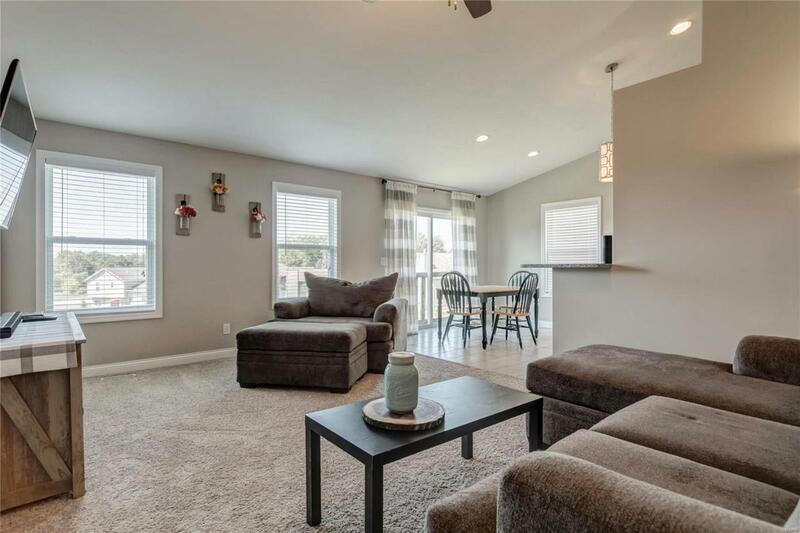 Open floor plan & walkout lower level. NEUTRAL DECOR throughout! 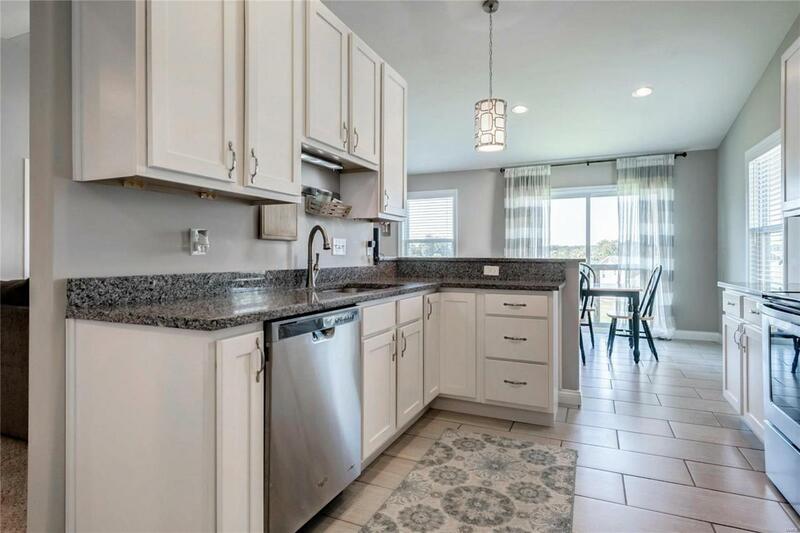 BRIGHT WHITE KITCHEN with luxe 42" cabinets, GLEAMING GRANITE countertops, STAINLESS APPLIANCES (smooth top stove), breakfast bar, ceramic tile, pantry. Space to add your dream deck off kitchen. Convenient main floor laundry. LARGE VAULTED MASTER suite, ceiling fan, DUAL GRANITE VANITY, upscale ceramic tile, JETTED TUB, separate shower, WALK-IN CLOSET. Timeless CURB APPEAL with easy-care vinyl siding, STONE & SHAKE accents. 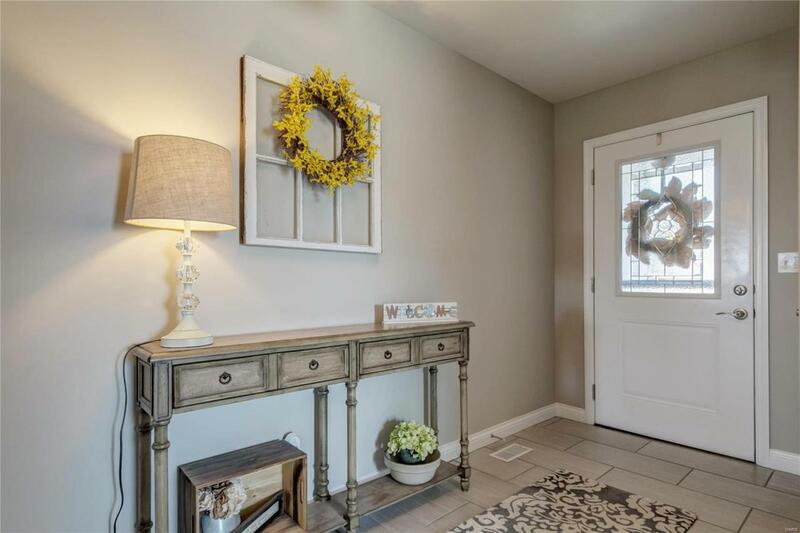 Ceramic tile foyer leads to SOARING VAULTED GREAT ROOM with recessed lights, breezy ceiling fan & plush carpet. Hall bath also features granite sink. Full walkout basement ready for future finish to double your living area. Patio overlooks big yard & open ground - ideal for gardening, play and entertaining. Located near 109-acre Towne Park, Splash Station and Peine Park. AWARD-WINNING SCHOOLS!